It’s true. My relationship with Justin is the heartbeat of our home, and I am excited to share with you some of the ways we’ve come up with to stay connected. We make it a priority to keep our life and our love life really rich. Every beautiful thing in your life will begin because you decide to create it. My Aunty Maharani Poepoe always said, “Where your thoughts go, energy flows.” Once you commit to making the time, you will create the momentum to make a possibility become your reality. Practically speaking, we realized it would take not one, but two people to watch the kids. We got on this incredible website called Work Away. We shared our story and the healing work we are doing here with the people from all over the world. They are already looking to travel to Maui. Luckily, we have a lot of space here at the house that we can trade for work traders. We decided that we always need two people around to help with housekeeping, the grounds and the children. This works for two reasons. One, it gives us time and space to get our work done. Two, we get to enjoy really quality time when we do have time together, with the family. We get 20 hours of work for room and board. Plus, we’ve been able to make wonderful friendships from people around the world. Last summer, we were traveling in Europe and met up with several different nannies over the years. Sweden. Spain. Italy. They were so excited to see the kids and how they’ve grown. The whole experience was so beautiful! Gathering the support that you need is very, very important. It might take time to manifest, but it is critical to make sure that you get some time and space together with your partner. We usually have both helpers working on Friday evenings, and we make it super fun. The kids know that it’s date night. It’s time they can play and hang out with their friends. They get to pick the movies that they want. They make pizza together. Sometimes, they make spirulina popcorn. When we first started our date night, each of us wanted so much to please the other person. Consideration quickly turned to frustration. Does this sound familiar? I’m not really in the mood for pizza? No, I already had that for lunch. Repeat for an hour while we drive all over town and STILL haven’t figured out what do to. No thanks! Now, we take turns. On my date night, I plan the dates. On his date night, makes the plans. When it’s my turn, I decide. And you’re just gonna come along for the ride, no matter what. When it’s your date night, I’m gonna do exactly the same thing. I’m committed to totally honor you and whatever it is that you want to do. Shoot ’em up movie? Awesome. Steakhouse? (Even though I’m a pescatarian), Love it. And you know what? It has worked so wonderfully. We leave the house. We know who’s night it is. Taking turns has allowed us to plan really fun things that each of us want to do. It’s made our date nights way more creative than they used to be. Now, we’re trying all sorts of things we haven’t done before. We are free to be adventurous in the choices that we make. One day, I decided to go shopping. I was leaving on one of my trips to go teach in Europe, and I needed to find some warm clothes. The only time that I had was Friday. Justin said, “No, it’s your date night. We do whatever you want.” So, we had a date night at Ross. We ate Thai food. And it was one of the funnest dates that we’ve ever had. Since then, Justin’s planned a date to grab food and hit the beach with a bottle of wine, and watch the stars. So much more fun things than we had done before. The pressure is off and it feels amazing! Sometimes when we are trying so hard to be considerate of others, and they’re trying to be considerate of us, we waste so much energy in an environment of worry. Worry is not anywhere near the vibration of fun, exciting enjoyment. Now, we enjoy our date night every Friday night. He never knows what I’m gonna choose, and I never know what he’s gonna choose. No more back and forth about where we should go. We let go of the worry and invest all of that energy into just enjoying one another. I want to challenge you: Decide to be adventurous. Commit to take some time with your partner to keep it fun, keep it real, keep it exciting. And of course, don’t forget the date night kisses. The really yummy, sweet kind like when you first met. If you’re in, let me know in the comments below. Tell me, what adventures will you be taking with your special someone? PS: Did you know? 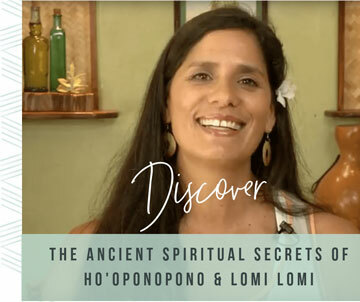 We have TWO SPOTS LEFT in our Fall Lomi Lomi Mastership retreat that begins OCT 16. Find your path. Unlock your healing potential. Learn Lomi Lomi massage. Click here for details.